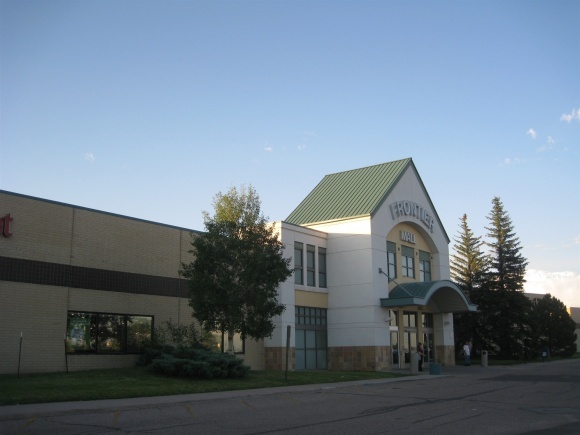 Cheyenne, Wyoming is a city of approximately 53,000 residents, located in the southeast corner of the state. Cheyenne is also Wyoming’s state capital as well as the northern terminus of the Front Range Urban Corridor, a 200-mile linear minilopolis stretching along Interstate 25 with a population of 4.25 million, which also includes Fort Collins, Denver, Boulder, Colorado Springs, and Pueblo. 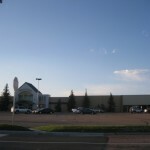 Frontier Mall is Cheyenne’s enclosed regional mall, located on the north side of town along the Dell Range Boulevard retail strip. 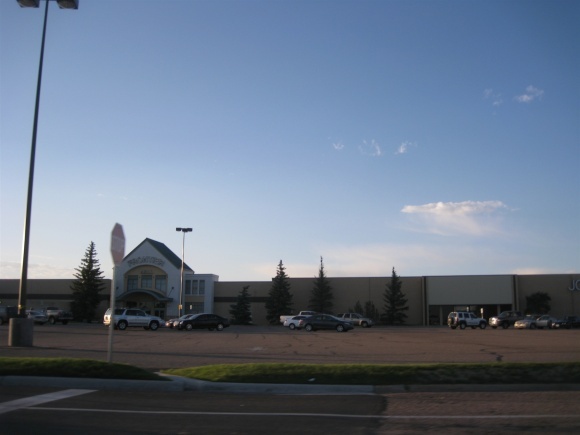 With 538,000 square feet of leasable space, Frontier Mall is the second largest of Wyoming’s three regional malls, just barely larger than Casper’s Eastridge Mall. 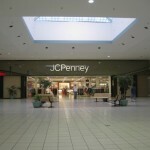 The single-level Frontier Mall opened in 1981, anchored by Denver based Joslins, JCPenney, and Sears. 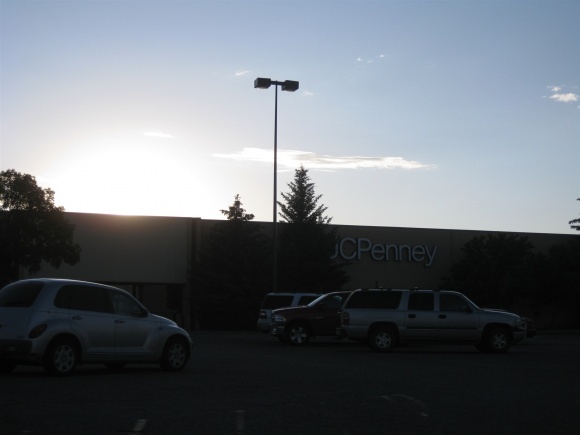 And, yes, there are only three malls in the entire state of Wyoming! 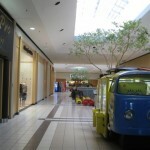 Tragedy struck Frontier Mall in 1993 as 44-year-old Larry Voss entered the mall’s Kay-Bee toy store on a hot August afternoon and shot his ex wife, Kary, to death as she worked. The murder came after months of harassment and eventually caused Wyoming to pass anti-stalking legislation. 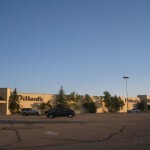 Another catastrophe occurred at Frontier Mall in April 1995 as a small plane attempting to return to Cheyenne Airport across the street crash landed at the mall, hitting the movie theatre sign and shooting flames across the parking lot and busy Dell Range Boulevard, killing the pilot – Dr. Daniel Hommel, of Cheyenne. 1995 also saw the closure of junior anchor Fashion Bar. 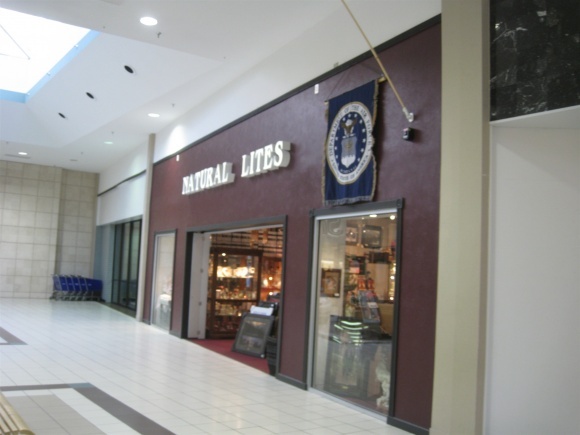 Owned by Stage Stores of Texas, Fashion Bar was a mountain-west based anchor featuring clothing and home furnishings. 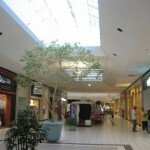 In addition, CBL’s Frontier Mall Fact Sheet lists a 1995 renovation. In 1997, Little Rock, Ark. 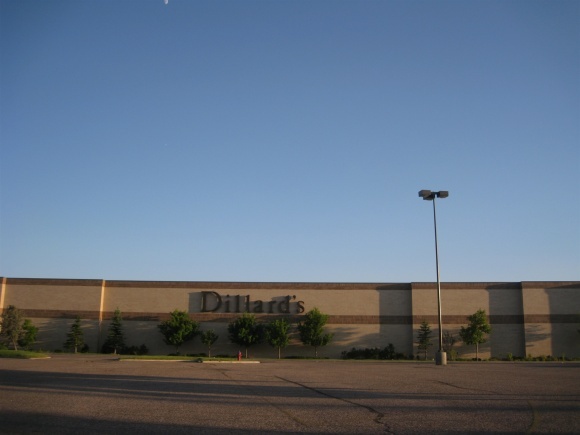 based Dillard’s built a new store at Frontier Mall; however, a year later in 1998 the parent of the Joslin’s chain, Mercantile Stores, was purchased by Dillard’s, giving Frontier Mall two Dillard’s stores, both of which remain open today. 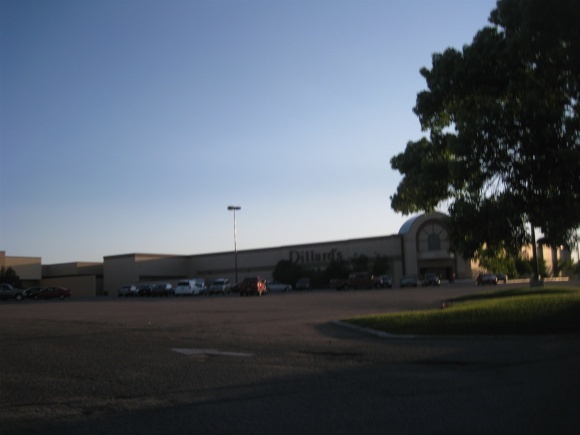 Dillard’s Mens and Home operates in the former Joslin’s location, and Dillard’s womens store operates in the newer building. 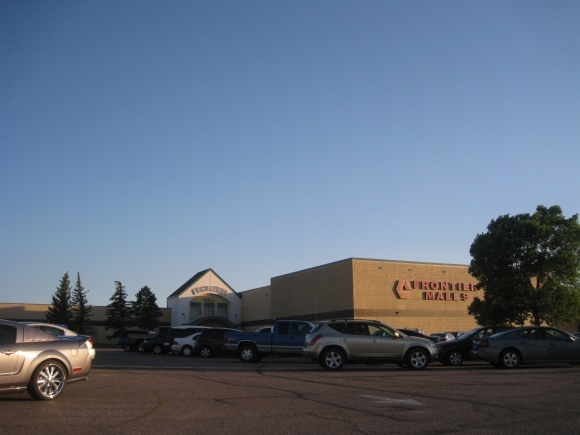 Not many changes have taken place since 1998, except for junior anchor Gart Sports becoming Sports Authority as the former chain was dissolved into the latter. 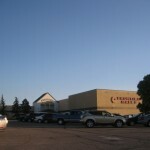 Today, Cheyenne’s Frontier Mall consists of 83 stores on a single level, featuring a nine-screen cinema and a food court area. 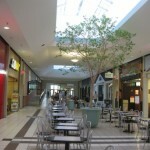 The mall’s layout is simple and traditional, and the decor is a mix of modern and dated. 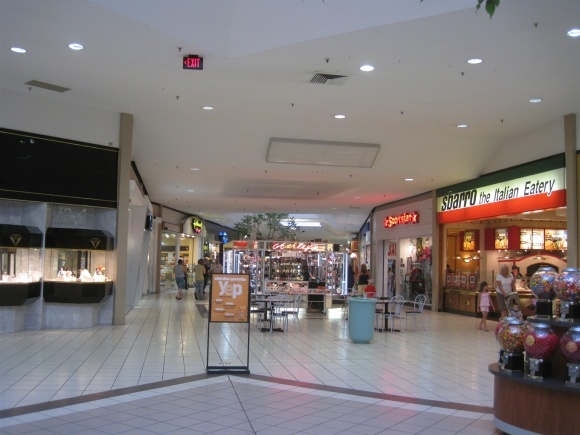 Dining options at Frontier Mall consist of Olive Garden (outside the mall), Country Buffet and a myriad of fast food restaurants; a C.B. 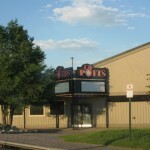 & Potts brewpub operated outside the mall until recently, but is currently closed. 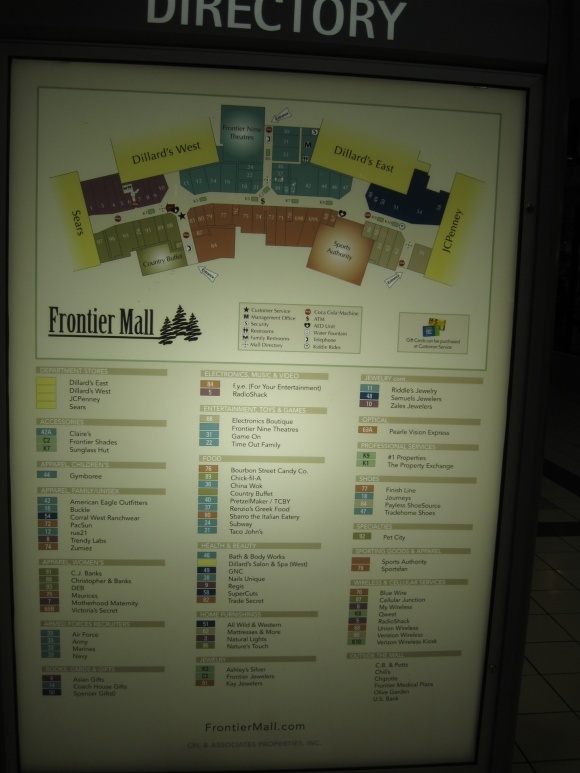 We visited Frontier Mall in June 2009 and took the pictures featued here. As always, feel free to leave your own impressions and experiences in the comments. @Sean, It’s the same company. Maybe they’re getting rid of the ‘old’ in the name to discourage the notion that only old people eat there? 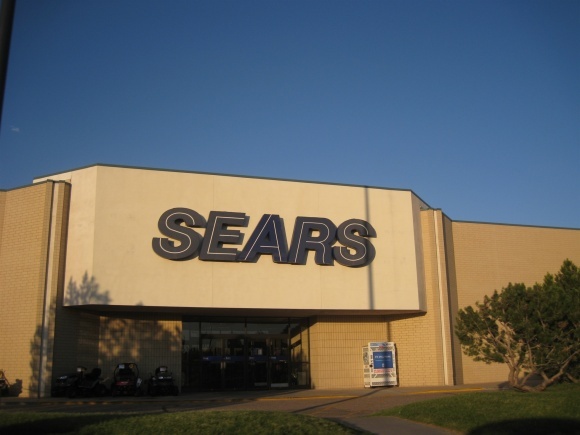 What a shocking history for such a small mall! Then again, in these parts, a 500k sq. 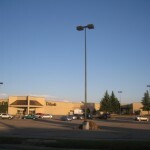 ft. mall is considered “large”. Bizarre. 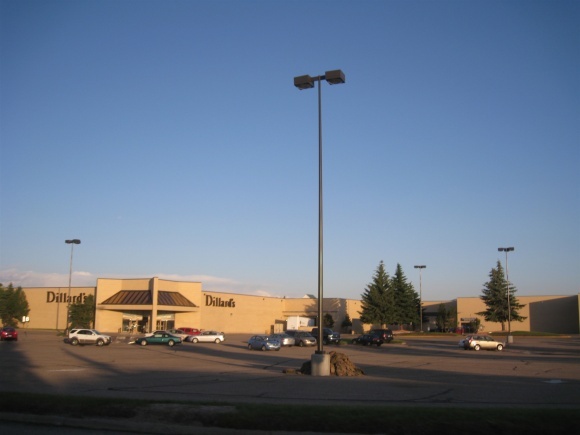 I also doubt that there are only three malls in Wyoming. Are there small, community ones that we aren’t aware of? @Jonah Norason (Pseudo3D), ICSC only lists 3, and I perused on the interwebs and couldn’t find much else. There might be some super small ones hiding somewhere, but maybe not ones I would count? 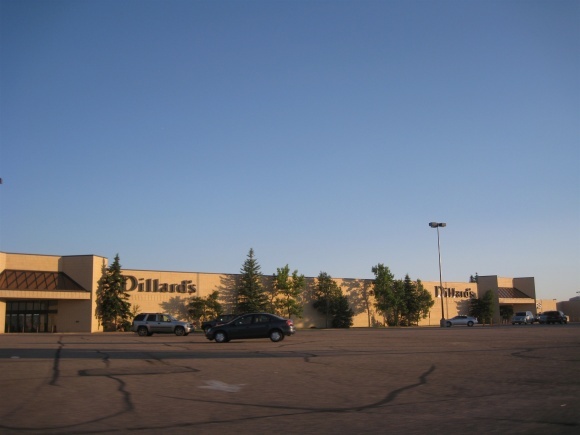 It’s kind of surprising that Torrington, Laramie, Sheridan and Gillette seem to be lacking malls, but kind of makes sense considering the population. Maybe someone who lives there can tell us more. 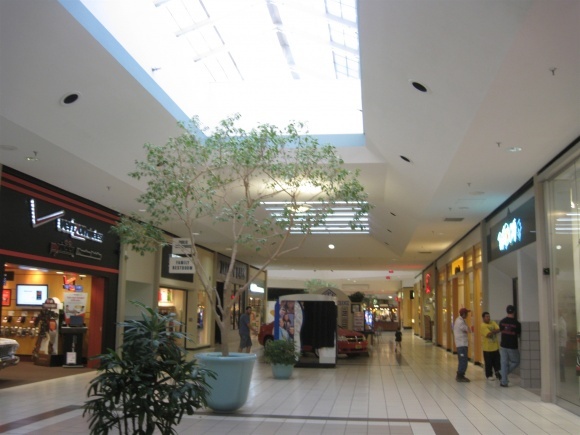 @Prange Way, the towns that you mentioned could be lacking malls in that these existing malls are serving an unusually large trade area, making them regional malls in the true sense. 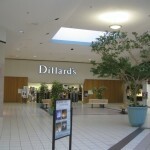 Malls with two Dillards are fairly common- Asheville Mall has such a set up (what’s especially odd is the stores are fairly close to each other but don’t connect… then again that entire mall has layout issues) , and even the completely dead Winrock Center in ABQ has two Dillards stores in them as well. I’m guessing Sports Authority is the former Fashion Bar. 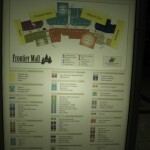 Also, yes, I’ve searched all over, there are indeed only three malls in Wyoming. Even Rhode Island has more than that. 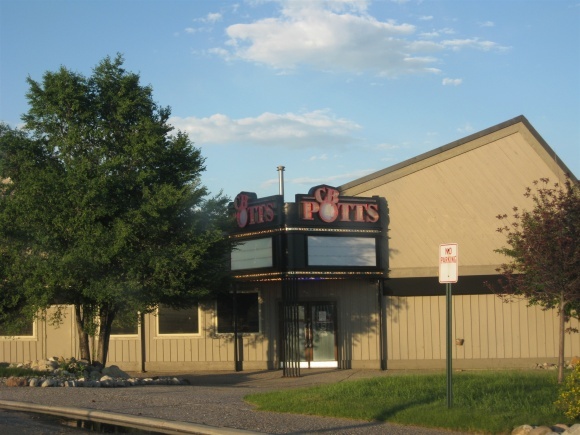 That former Joslins building looks very similar to a former Gayfers building that used to anchor Jubilee Square in Spanish Fort, AL. I’m guessing that Merctantile Stores had some of standardized store format for every nameplate. 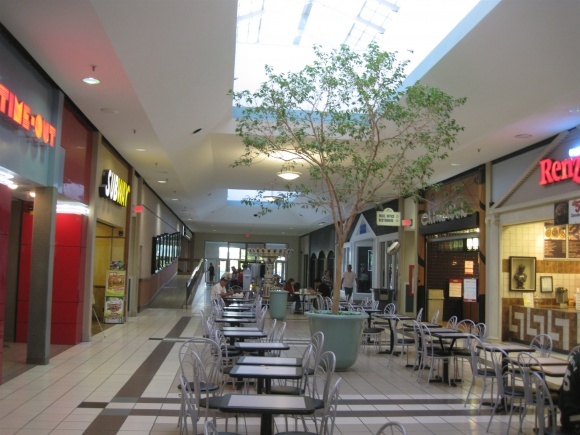 CBL opened Walnut Square in the summer of 1980 in Dalton,GA and the two malls could almost be twins, though Frontier Mall is slighty larger. 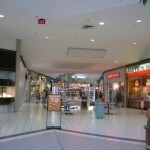 Foothills Mall in Maryville, TN shares similar layout and architecture as does the larger two level Georgia Square in Athens and Madison Square in Huntsville, AL. 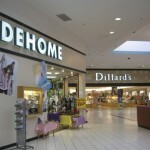 CBL went through a generic mall phase from the early 80s to the mid 80s, breaking from the bland exterior design with the opening of Hamilton Place Mall in Chattanooga, TN in 1986. 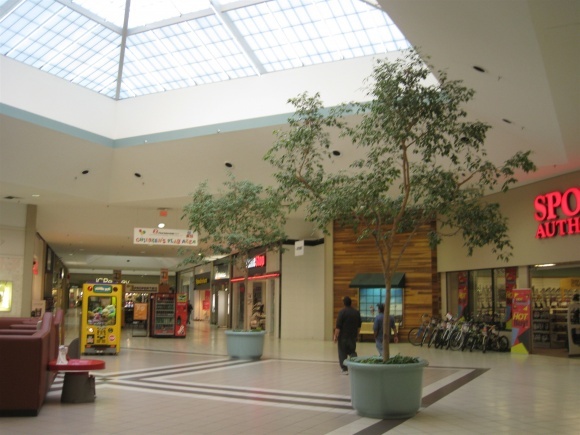 When the mall opened in 1981 it was a huge deal. 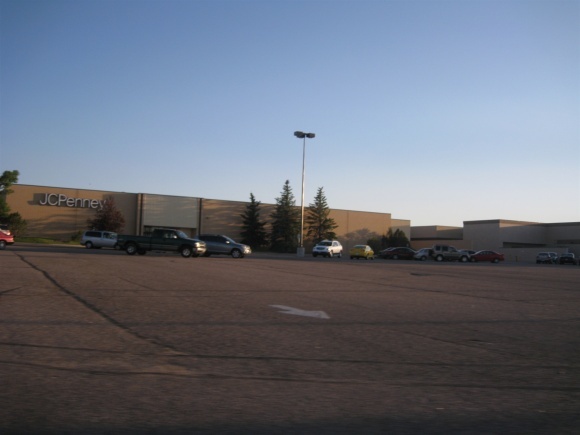 At that time the nearest “mall” was Foothills Fashion Mall in Fort Collins CO some 50 miles away. 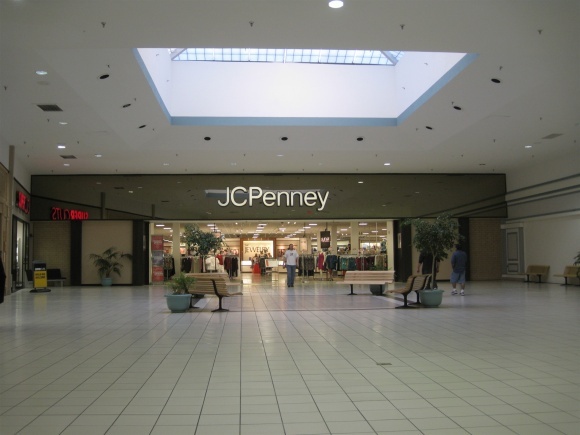 When the mall opened there was Sears, JC Penny, Fashion Bar and Joslins. 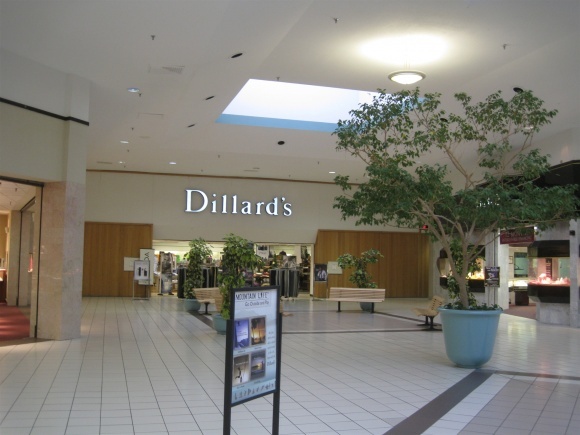 The fourth anchor “Dillards” was added several years later. 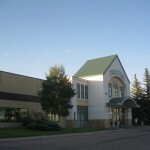 There were several “local” retailers that relocated or opened 2nd mall locations, such was Fowlers a local department store which had its main store downtown. Both are long gone. 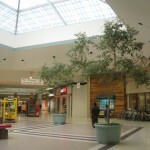 The mall was getting really dead until they did the renovations in 1998 or 1999, new stores came in that gave the mall a new modern look, the cinema was orginally an AMC 6 theater. 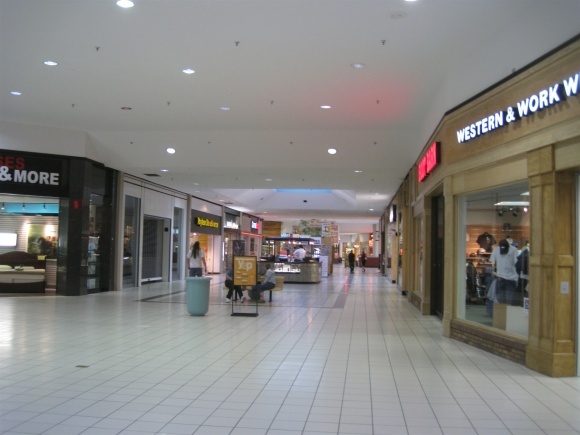 There are only 3 malls in wyoming, it is the largest state with lowest population, there is not even half a million people in the whole state. 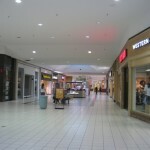 The Frontier mall does well because people drive in from West Nebraska northern Colorado , northern Wyoming and western Wyoming. 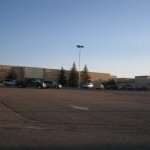 There is now a huge shopping center to the north of the mall, with Lowe’s, Kohl’s T J Maxx and Marshalls. 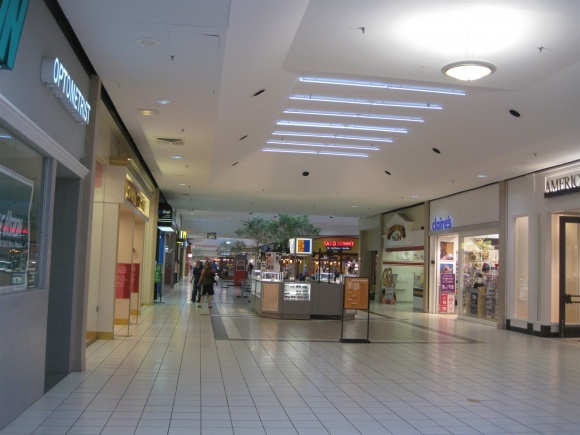 why isnt there a TOyS R us near the mall? 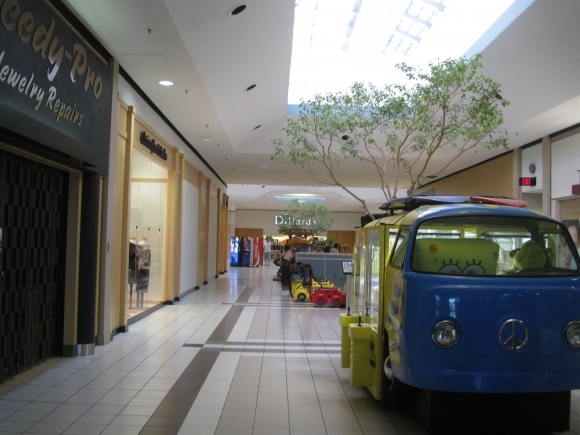 but why NOT An Actual Toys R us store and why is this shopping area devoid of some retail chains? 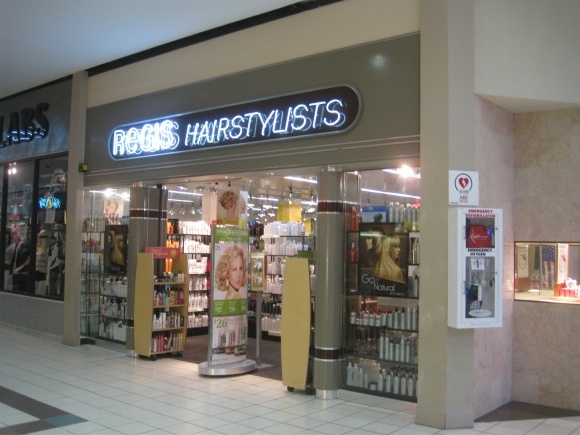 I’m kind of on a nostalgia trip… anyone remember all the old stores from the mall? I remember things such as Bookland and Waldenbooks (which was better), Disc Jockey and Musicland, Circus World, Under the Rainbow and some cookie place. 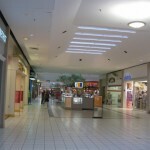 @Steve, Some of the original tenants were: Fashion Bar, Fowlers, Thom McCann shoes, Peoples Sporting Goods, Orange Juilus, Waldenbooks, Musicland (there was never a Disc Jockey or Circus World) There were several local retailers that are no longer around but it was a full mall right from the get go. 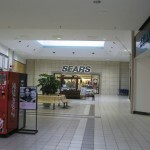 Sears opened a few months before the mall did, there was also a “mirrored clock tower” in the courtyard area in front of Dillards west, it is gone and there was a fountain in front of Fashion Bar (now Sports Authority) it is gone now as well. @jw, There definitely was a Disc Jockey. 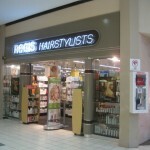 It used to be near Penny’s & a Hallmark store that is now a western store. 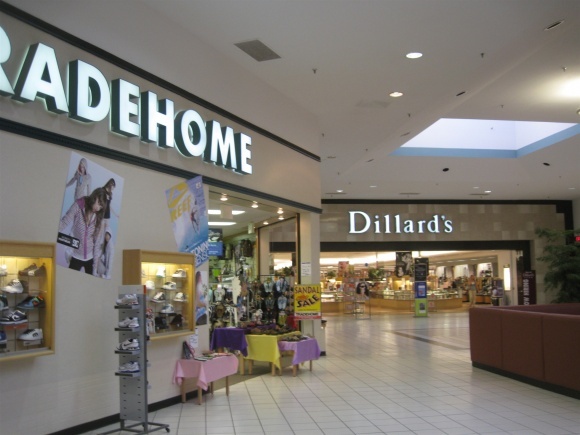 Shoe Carnival took over where DJ used to be. 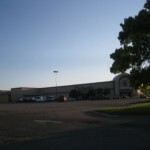 We also had a Sam Goody which I think took over Musicland. 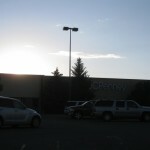 It was by the pet store which is still there, unfortunately. I totally remember the clock tower & fountain! Remember the ferris wheel? 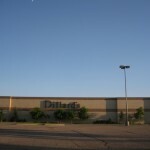 Orange Julius was where Taco Johns is but I think that recently closed. There was a popcorn shop next to Orange Julius that had the best cheese corn. 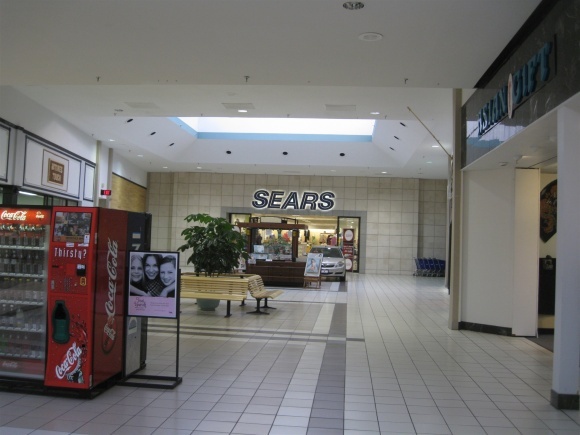 There was a “Disc Jockey” (on the Penney’s end) and a “Record Bar” (by the Sears end). 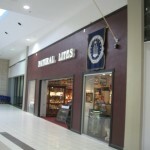 2 record stores in one mall. Outstanding. 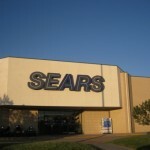 And most stores would give a “Time Out” ticket if you bought something (or begged). Good for one free slug into the video game of your choice. KarmelKorn had amazing cheese corn and Cinnamon Chews. There was exactly one stop light between Mountain Rd and the mall. Now there’s one every other block. Kind of like the Wyoming version of Ridgemont. Didn’t even have cable TV here when it opened. Still. A pretty tremendous place. Circa the 80’s anyway.